Root knot nematodes can be a curse in warm, moist garden soils. Feeding by these minuscule, transparent, work-like creatures inside the root tissue of many crops causes the roots to develop tumour-like growths which retard the flow of water and nutrients through conducting vessels, weakening crops. What to do? Lastly, grow and use bio-fumigant crops correctly. It is a myth that planting mustard or Tagetes next to crops eliminates nematodes. They don’t. The CSIRO has proven how they do work. You grow and then dig in bio-fumigant crops, like Stinking Roger (Tagetes minuta), marigolds (T. patula and T. erecta) and mustard (Brassica juncea, and others). If the soil is kept damp for three weeks after digging the crops in, the decaying green waste releases isocyanate gases which fumigate soil, killing the nematodes and their cysts (nematode eggs). If the soil dries out, the remedy does not work. 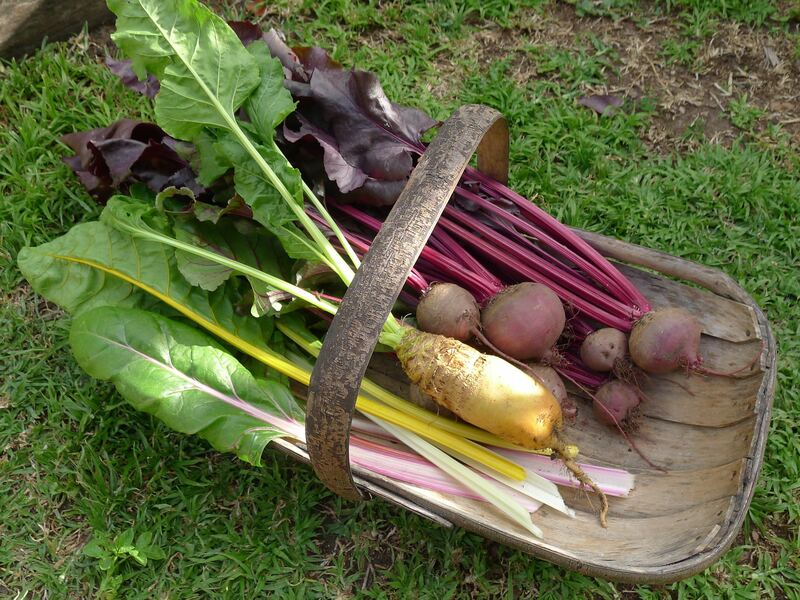 By applying all four strategies I am enjoying picking clean, healthy ‘Rainbow’ silverbeet, beetroot ‘McGregor’s Favourite’ and good, old-fashioned mangelwurzel. I’ve also experimented with a new dish: a vegetarian spring root salad lightly steamed silverbeet mixed with boiled, diced beets, mangelwurzel, potato and yam with fetta cheese, flavoured with a special salad dressing made with home grown lime juice, mustard seed, olive oil and horseradish sauce. Yum! Have also been enjoying the Tagetes minuta in salads since we started to grow it but haven’t tried the Huacatay sauce yet.. Strange to think as a kid I was paid to pull it out as a weed on the farm.. I was wondering if you have a link to the information you mention from the CSIRO ? I have spent some time trying to find it myself but think I may be looking in the wrong spots.. Many thanks for all the help Jerry & have a great one..